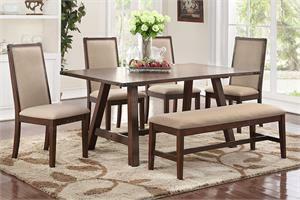 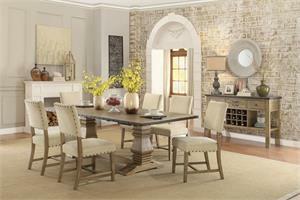 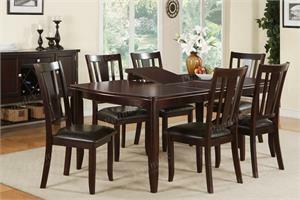 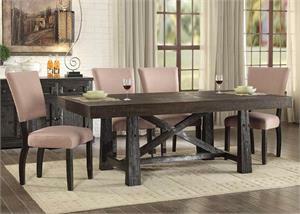 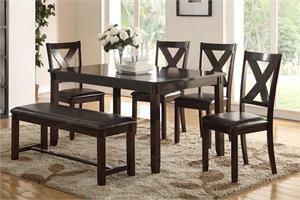 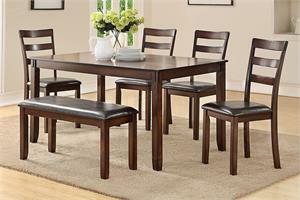 Rustic style and polished metal sheens create this sumptuous dining set. 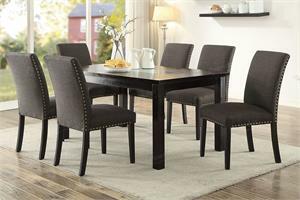 Antique finishes display rich tones and a weathered aesthetic that defines shabby chic, enhancing the natural wood table that brings woody elements to your dining room while U-shaped supports contrast with clean, lustrous accents. 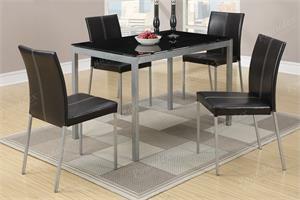 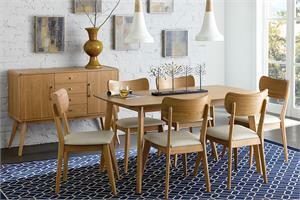 Panel cushioned chairs are upholstered in soft linen-like fabric and keep you pleasantly supported for extended dinners. 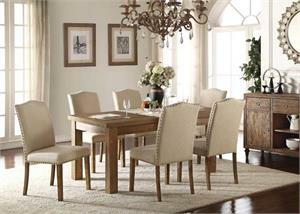 Keep wine handy in the dining server and conveniently store dinnerware in its spacious storage compartments.